The Festival was terrific. Our session on "The Science of Morality" (Patricia Churchland, Daniel Dennett, Antonio Damasio, and myself) went very well, I thought. Having been to many of the European festivals, I am so glad you launched this. I ran a course last year at Harvard called "Consumable Science" that explored the causes of apathy re: science in the US, and discussed the different vehicles for getting science to the public. The World Science Festival is a great start, and I congratulate your co-founder Tracy Day and yourself. I have one suggestion. Why call it the "World Science Festival"! It is the "New York Science Festival". Surely an inspiration for your event (as well as for my Harvard course) was Vittorio Bo's Genoa Science Festival, Rome Science Festival, Trieste..., etc. If the spread of festivals in Italy, from Genoa across the country, is any indication, how cool would it be if New York spread to Boston, to Chicago, LA??? Every city will (and should) want one. 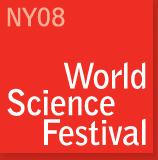 But calling the New York event the "World Science Festival" leaves Boston or Washington, or New Orleans with either no options, or with "World Science Festival 2". But this is clearly a "small" issue in the context of a great event. And whether you continue to call it the "World Science Festival" or go with the "New York Science Festival", it's a world-class event all the way. Bravo!! BRIAN GREENE, a professor of physics at Columbia, is the author of The Elegant Universe and The Fabric of the Cosmos, and the co-founder of the World Science Festival and Chairman, Science Festival Foundation. A couple of years ago I received a letter from an American soldier in Iraq. The letter began by saying that, as we've all become painfully aware, serving on the front lines is physically exhausting and emotionally debilitating. But the reason for his writing was to tell me that in that hostile and lonely environment, a book I'd written had become a kind of lifeline. As the book is about science — one that traces physicists' search for nature's deepest laws — the soldier's letter might strike you as, well, odd. But it's not. Rather, it speaks to the powerful role science can play in giving life context and meaning. At the same time, the soldier's letter emphasized something I've increasingly come to believe: our educational system fails to teach science in a way that allows students to integrate it into their lives. Allow me a moment to explain. When we consider the ubiquity of cellphones, iPods, personal computers and the Internet, it's easy to see how science (and the technology to which it leads) is woven into the fabric of our day-to-day activities. When we benefit from CT scanners, M.R.I. devices, pacemakers and arterial stents, we can immediately appreciate how science affects the quality of our lives. When we assess the state of the world, and identify looming challenges like climate change, global pandemics, security threats and diminishing resources, we don't hesitate in turning to science to gauge the problems and find solutions. And when we look at the wealth of opportunities hovering on the horizon — stem cells, genomic sequencing, personalized medicine, longevity research, nanoscience, brain-machine interface, quantum computers, space technology — we realize how crucial it is to cultivate a general public that can engage with scientific issues; there's simply no other way that as a society we will be prepared to make informed decisions on a range of issues that will shape the future. These are the standard — and enormously important — reasons many would give in explaining why science matters. But here's the thing. The reason science really matters runs deeper still. Science is a way of life. Science is a perspective. Science is the process that takes us from confusion to understanding in a manner that's precise, predictive and reliable — a transformation, for those lucky enough to experience it, that is empowering and emotional. To be able to think through and grasp explanations — for everything from why the sky is blue to how life formed on earth — not because they are declared dogma but rather because they reveal patterns confirmed by experiment and observation, is one of the most precious of human experiences. As a practicing scientist, I know this from my own work and study. But I also know that you don't have to be a scientist for science to be transformative. I've seen children's eyes light up as I've told them about black holes and the Big Bang. I've spoken with high school dropouts who've stumbled on popular science books about the human genome project, and then returned to school with newfound purpose. And in that letter from Iraq, the soldier told me how learning about relativity and quantum physics in the dusty and dangerous environs of greater Baghdad kept him going because it revealed a deeper reality of which we're all a part. It's striking that science is still widely viewed as merely a subject one studies in the classroom or an isolated body of largely esoteric knowledge that sometimes shows up in the “real” world in the form of technological or medical advances. In reality, science is a language of hope and inspiration, providing discoveries that fire the imagination and instill a sense of connection to our lives and our world. If science isn't your strong suit — and for many it's not — this side of science is something you may have rarely if ever experienced. I've spoken with so many people over the years whose encounters with science in school left them thinking of it as cold, distant and intimidating. They happily use the innovations that science makes possible, but feel that the science itself is just not relevant to their lives. What a shame. Like a life without music, art or literature, a life without science is bereft of something that gives experience a rich and otherwise inaccessible dimension. It's one thing to go outside on a crisp, clear night and marvel at a sky full of stars. It's another to marvel not only at the spectacle but to recognize that those stars are the result of exceedingly ordered conditions 13.7 billion years ago at the moment of the Big Bang. It's another still to understand how those stars act as nuclear furnaces that supply the universe with carbon, oxygen and nitrogen, the raw material of life as we know it. And it's yet another level of experience to realize that those stars account for less than 4 percent of what's out there — the rest being of an unknown composition, so-called dark matter and energy, which researchers are now vigorously trying to divine. As every parent knows, children begin life as uninhibited, unabashed explorers of the unknown. From the time we can walk and talk, we want to know what things are and how they work — we begin life as little scientists. But most of us quickly lose our intrinsic scientific passion. And it's a profound loss. A great many studies have focused on this problem, identifying important opportunities for improving science education. Recommendations have ranged from increasing the level of training for science teachers to curriculum reforms. But most of these studies (and their suggestions) avoid an overarching systemic issue: in teaching our students, we continually fail to activate rich opportunities for revealing the breathtaking vistas opened up by science, and instead focus on the need to gain competency with science's underlying technical details. In physics, just to give a sense of the raw material that's available to be leveraged, the most revolutionary of advances have happened in the last 100 years — special relativity, general relativity, quantum mechanics — a symphony of discoveries that changed our conception of reality. More recently, the last 10 years have witnessed an upheaval in our understanding of the universe's composition, yielding a wholly new prediction for what the cosmos will be like in the far future. These are paradigm-shaking developments. But rare is the high school class, and rarer still is the middle school class, in which these breakthroughs are introduced. It's much the same story in classes for biology, chemistry and mathematics. At the root of this pedagogical approach is a firm belief in the vertical nature of science: you must master A before moving on to B. When A happened a few hundred years ago, it's a long climb to the modern era. Certainly, when it comes to teaching the technicalities — solving this equation, balancing that reaction, grasping the discrete parts of the cell — the verticality of science is unassailable. But science is so much more than its technical details. And with careful attention to presentation, cutting-edge insights and discoveries can be clearly and faithfully communicated to students independent of those details; in fact, those insights and discoveries are precisely the ones that can drive a young student to want to learn the details. We rob science education of life when we focus solely on results and seek to train students to solve problems and recite facts without a commensurate emphasis on transporting them out beyond the stars. Science is the greatest of all adventure stories, one that's been unfolding for thousands of years as we have sought to understand ourselves and our surroundings. Science needs to be taught to the young and communicated to the mature in a manner that captures this drama. We must embark on a cultural shift that places science in its rightful place alongside music, art and literature as an indispensable part of what makes life worth living. It's the birthright of every child, it's a necessity for every adult, to look out on the world, as the soldier in Iraq did, and see that the wonder of the cosmos transcends everything that divides us.